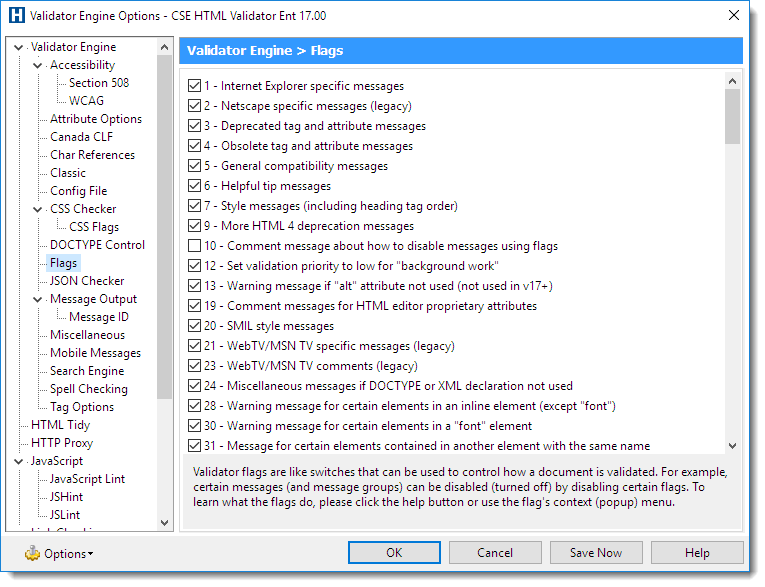 CSE HTML Validator's validation engine is extremely configurable. The Validator Engine Options Dialog allows you to configure many options that affect how documents are validated. To access the Validator Engine Options Dialog, choose Options->Validator Engine Options->Options or press Ctrl+F4 in the editor. NOTE: Depending on what edition you are using (lite, standard, professional, or enterprise), some options and pages may not be available. View the child topics for information about the available options.